Who Have Never Had Ecommerce Or Their First Solution No Longer Fits. Ship Parcel (Ups Fedex USPS) & LTL – Carrier Freight. Distributor / Buyer & Customer Price Tiers. Require Custom Programming & Integration To Accounting / ERP System. Let Us Design What You Need Within Your Budget Parameters. Click here and Read Top Reasons WhyNeed For Ecommerce Speed? Infor ERP is the most powerful system available for managing the complex demands of the distribution industry. Infor Distribution ERP’s gives you unparalleled control in managing thousands of transactions, suppliers, and customers-while tracking tens of thousands, if not millions, of items. Enterpristore Ecommerce is fully integrated with Infor SX.e. 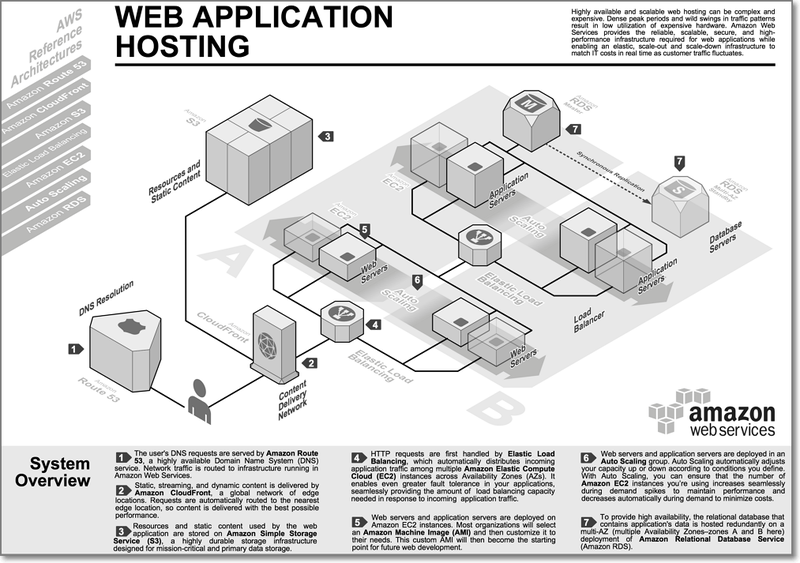 10 & 11, FACTS and CloudSuite Distribution using Soap and REST web services with WSDL request/response in XML format. Integration also available for Infor ERP FACTS, A+. Includes detailed logs of all transactions. Order History – Retrieves current open orders, current pre-orders and order history directly from Infor ERP or Enterpristore. Products Catalog – Real-time inventory and pricing information based on multiple warehouses. Order Processing – Submits from Enterpristore shopping cart to Infor ERP to create orders or quotes or pre-orders for future sales. CenPOS Payment Processing – Tokenize Customer Data – This allows for easy and flexible customer billing, as CenPOS converts payment data into a secure token for safe and convenient recurring billing of regular customers. The primary data repository is Infor SX.e. Data uploaded and updated via Infor SX.e API to Web Based Ecommerce – Enterpristore. Data stored in MySQL / Maria Database on Solid State Drives. Data retrieved for each Ecommerce call directly from Infor SX.e server. 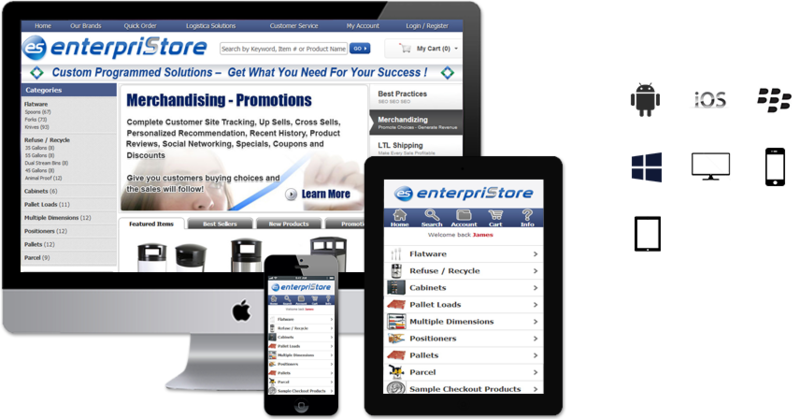 enterpriStore is the 4th generation Ecommerce platform from Logistica Solutions Inc.
Our feature set rivals any Ecommerce platform on the market today at lower price points. Our niche market is custom Ecommerce platforms for companies that need their Ecommerce site to do exactly as they desire. Our customers need very specific customization’s and with the ability to interface with their Accounting / ERP systems. Activity Heatmaps –See how customers interact with your website. See What Works –See the path visitors take to navigate your website. 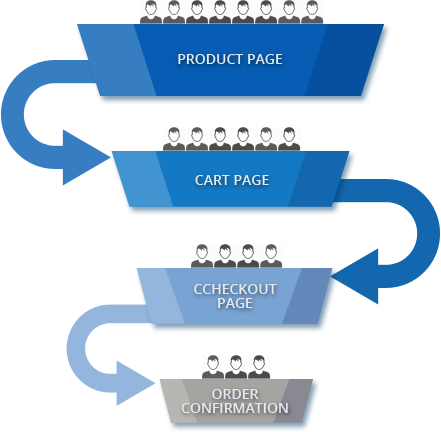 E-commerce Conversion Funnels-Find bottlenecks in your sales funnels and optimize for better conversions. Track Search Engine Keywords –Get Google and Bing keywords your website is ranking for. Form Analytics –See which form fields your visitors drop off at. A/B Testing –Set up experiments to compare two versions of a landing page. E-commerce Conversion Funnels –Find bottlenecks in your sales funnels and optimize for better conversions. Conversion Attribution –Know which source (search engine, PPC, social) was responsible for sales. Visitor Log –Track activity and find insights using visitor logs. Real Time Map –See the world map light up with visitor activity for your website. Category Performance –Find which categories are performing well and which products in those categories are leading in sales. Days to Conversion –Track the number of days or visits it took to convert a sale. Crawling Errors –See if there are crawling errors (on Google and Bing) for desktop or mobile devices right from your dashboard. Automated Insights –Track changes in traffic performance through automated insights. Amazon Web Service Enabled – Enterpristore Ecommerce for Infor ERP’s – SX.e, FACTS and CloudSuite. Experience the power and reliability of AWS. Deploy in seconds and manage from the intuitive Lightsail setup for smaller requirements. Amazon EC2 Auto Scaling ensures that your application always has the right amount of compute capacity. Amazon EC2 Auto Scaling adds new instances only when necessary and terminates them when no longer needed. Elastic Beanstalk automatically scales your application up and down based on your application’s specific need using easily adjustable Auto Scaling settings. With Elastic Beanstalk, your application can handle peaks in workload or traffic while minimizing your costs. Enterpristore is setup in the same zone in Virginia as the Infor CloudSuite solution and s enabled for multiple zones. Custom Ecommerce site programming is for companies who realize that their web presence must provide the most user friendly environment for their customers. They know their customers and are upgrading from a previous Ecommerce platform that couldn’t keep pace with their vision. Our customers want very specific look and feel and functionality. They layout every page on the site with exactly what they know will generate higher conversion rates. Our customers and their new features requirements have created an Ecommerce platform that is much more robust than we could of imagined or created without their input. Our customers have created a masterpiece. Ecommerce – we have learned – is not one product fits all.